Designed by Karen Akers is a boutique design business that offers a complete Interior Design and Decorating service. Based in Sydney and operating since 2005, the practice specialises in residential and small scale commercial projects. With a Bachelor of Design and over 20 years professional design experience, Karen strives for each project to be uniquely stylized towards the individual. The award winning practice has completed works in both Australia and New Zealand and has published works featured in the Andrew Martin International Design Review, ArtEdit, House and Garden, Home Beautiful, Australian Coastal Home, Australian Coast to Coast, Country Style, Luxury Homes, Modern Home, Artichoke, SMH, Daily Telegraph Home Magazine and Real Living Magazine. 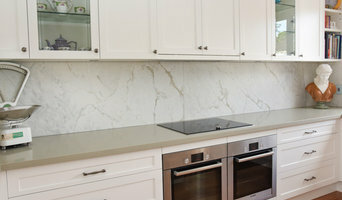 Interior decorating based in Sydney's inner west. 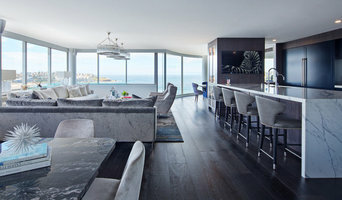 I create interiors uniquely tailored to my clients' needs. Following a successful career in fashion, I decided it was time to fulfill my other passion - designing and decorating interiors. And so 'schemes & spaces' was created. Having obtained my qualifications, and with three renovations and a full build under my belt, I now create beautiful and functional interior environments for my clients. My philosophy is that we should all come home to a place we love, no matter what our budget. A place that makes us feel relaxed and rejuvenated and is uniquely tailored to us. Good design represents not only quality finishes and fittings, but also makes a space easy to move through, pleasing to be in and exciting to look at. BEST OF HOUZZ 2019, 2018, 2017, 2016 & 2015; Winner of H&G TOP 50 Rooms 2017. Ioanna Lennox Interiors (ILI) specialises in beautiful, layered residential interiors that showcase the design studio's passion for exceptional quality, fine craftsmanship and considered interior design. Beauty, quality and functionality are the cornerstones of ILI's design philosophy. We conceive classical or contemporary spaces in response to our clients' needs and create timeless and life-enhancing interiors where every detail is considered and customisation plays a key role. Our services range from concept development and design to implementation of that vision, project management of trades and contractors, ordering and procurement of of materials, furniture, window treatments and soft furnishings and finally staging and styling. Creating the perfect home is a journey that is often best shared with someone who understands your needs, lifestyle and passions. We partner with you to deliver spaces that not only add significant value to properties, but most importantly represent the people who live within. At D'CRUZ, we recognise each project requires a unique and individual response. Our focus is not restricted to a singular design style, but a design methodology that embraces individually crafted design responses that encompass a timelessness and relevance to a contemporary design aesthetic. Our commitment to understanding the design brief with the ability to guide you through the complexities of the design and construction process is key in the delivery of exceptional design outcomes. The emotional connection and fluid interaction of people within interior spaces is highly valued and treated with priority. The resolved interior spaces are used as a tool to influence and connect with exterior environments and forms. A congruent design vision for both interiors and exteriors may be achieved through the collaboration of likeminded Architectural and Landscaping Consultants. These Consultants, carefully chosen from our network to best fit the Client and project outcome, may be engaged to work under the conceptual direction of D’CRUZ to suit the specific needs of a project. Underpinning the success of D'CRUZ is the balanced investment in sound design principles and practices that are shared by all people involved. An honours graduate from the University of Technology - Sydney and a member of the Design Institute of Australia, Creative Design Director Andrea D’Cruz’s industry experience encompasses 20 years of award winning project delivery, ranging from individual private commissions to large commercial contracts. Interior Designer Lisa Burdus has spent the last 20 years making a name for herself as a respected asset to the Australian design industry. Lisa Burdus Design & Decoration focuses on full-service residential projects and boutique style commercial spaces. Each design stretches parameters for those who favour a classic style with meticulous detailing and spatial planning. Bespoke is a large and extremely important part of the practice. Each design breaks free from homogeny to create a spontaneous and adventurous masterpiece that embraces indulgent detail through scale, texture, colour and pattern. Lisa combines traditional charm with modern day sensibility for those who seek distinctive and innovative design solutions that are warm and textured. She travels regularly to source unique one-off items and prides herself on using artisans who are masters of their trades. Hi & welcome to the wonderful world of interiors! I recently found this quote from Maya Angelou and thought it summed up beautifully my approach to design: My mission in life (and in my case, design!) is not to merely survive but to do so with compassion, some compassion, some humour and some style! I focus on creating beautifully crafted homes with loads of personality, that are visually rich, and easy to live in. I’m passionate about colour, textiles, really gorgeous and hard to find items for the home and I think it is essential that the result reflects the client’s lifestyle, preferences and aspirations. Background I started Sartorial Interiors in 2008 after being made redundant from the corporate world and I saw it as a sign to begin my own business in an area I was passionate about! I had a Bachelor of Arts, I’d done studies in interior design and had been painting artworks since 1998 so it was as though fate pushed me past the fear factor to launch and build a design practice. I’m so glad I did: I haven’t looked back! Fast forward to today: I’m a busy mum of two, done two renovations of my own, so I understand what it’s like for my clients facing change in their homes. I get that it can feel scary & overwhelming – both aesthetically and financially – I’m here to help! Not only will I put together the perfect design for you, I will be there all the way through the project to the fluffing of the cushions at the end! About how I work I love listening to my clients and their vision & get a huge thrill out of achieving that with them. I really care about each project and always aim for the best possible outcome. It’s a buzz watching them take their tentative first steps in changing their home, loving those results and then diving in for more! I like to gently push my clients a little outside their comfort zone as this often results in even better results...magic, in fact! I’m addicted to trade shows and industry events and can’t wait to share what I’ve seen and learnt with my clients. I’m always on the lookout for beautiful, unique pieces and love finding a range of products at different price points. While I’m based in Sydney’s inner west, I travel all over for my clients. And it doesn't matter what size your project is: from some soft furnishings for the bedroom through to the whole house I'm here for you. I can’t wait to meet you and begin the beautification journey with you! Bring your home to life with INSIDESIGN stress-free home improvement and design. Your house design is customised to your and your family's needs. You can get a full scope of Interior Design, a detailed shopping list of your new items, sourcing of furniture, accessories and even PC items, supervision of renovation and styling all from the same company. 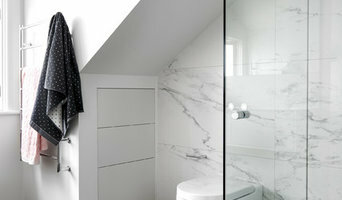 INSIDESIGN will create you a beautiful home with no fuss - and you can concentrate on other things in your busy life! Di seguito trovi alcuni consigli su come trovare il miglior interior designer nella zona di Croydon, NSW, AU per il tuo progetto. Come trovare un interior designer nella zona di Croydon, NSW, AU su Houzz? Per iniziare, guarda le fotografie del tipo di stanza che desideri rinnovare, filtrandole a seconda dello stile che ti piace di più. Salva in un Ideabook quelle che ti sembrano più interessanti annotando i particolari che ti colpiscono di ogni immagine, e poi contatta direttamente i professionisti che hanno lavorato a quel progetto. Attraverso le immagini che salvi, avrai una buona base di partenza per comunicare visualmente al professionista i tuoi gusti e le tue idee. Alternativamente, puoi condurre una ricerca di interior designer nella zona di Croydon, NSW, AU e contattare i professionisti che ti sembrano più in linea con le tue preferenze. 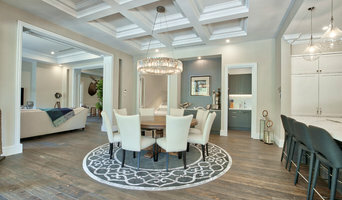 Ti consigliamo di diventare un utente attivo nella community Houzz pubblicando un design dilemma o un sondaggio: i professionisti saranno felici di rispondere alle tue domande. Quando avrai trovato il professionista più adatto alle tue esigenze, contattalo per ottenere un preventivo.